I love it when a plan comes together. The Classic Vape Co sent three flavors of ejuice for review; Platinum Chalice, Legacy 650 and Club House. Based on the flavor descriptions I saved Club House to review last, believing it would be my favorite of the three. After reviewing the first two I did have my doubts. Both Platinum Chalice and Legacy 650 are excellent flavors. But I still had out hope, I’m especially partial to cinnamon and caramel flavors, and Club House has both. On the inhale your taste buds are greeted with a smooth, rich and creamy caramel. That masks a very subtle, light chocolate note. The exhale is dominated by cinnamon, with undertones of that caramel and chocolate. The vapor is smooth and a little on the warm side. Throat hit is in the light range. Club House has an aroma like a cinnamon Danish with caramel icing fresh from the oven. This is an amazing flavor, rich, nuanced, just sweet enough but not overbearing. It goes especially well with a cup of black coffee in the morning. But it’s suitable for all day vaping. If you enjoy caramel or cinnamon vapes, Club House is an ejuice you owe it to yourself to try. 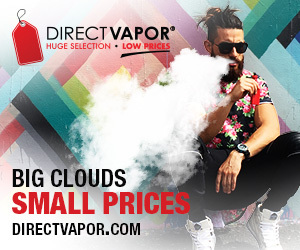 The Classic Vape Co mixes Club House in a 30/70 PG/VG ratio. It’s available in nicotine levels of 0 MG, 3 MG, 6 MG, 12 MG or 18 MG. Club House is packaged in glass dripper bottles, 15 ml for $7.95, 30 ml for $14.95 and 120 ml for $37.95. I vaped Club House in a SMOK TFV12 on a Kangertech KBOX 160. 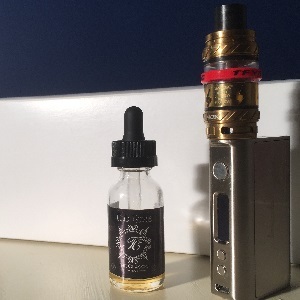 The Classic Vape Co provided the bottle of Club House I vaped for the purpose of this review. Order Club House from The Classic Vape Co.